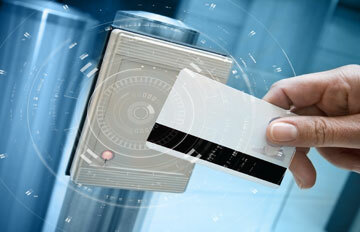 Access Control System NYC is your local access control company in New York. We can service all access control systems in New York City including access control Brooklyn, access control Manhattan, access control Staten Island, Queens and the Bronx New York. Access Control Systems NYC consider intercom systems and emergency telephone systems in Access Control Systems NYC part of an overall security package. During our security systems installation all over Manhattan we often install intercom systems with intrusion detection, access control, parking control and CCTV Systems. We can do it all, so you know you can get it all from us. Our experts install residential intercom and door entry systems in Manhattan NYC to provide simple communication between rooms and outside entry areas. For small to large homes a system can be designed to meet virtually any communication need. These systems may include a video monitor in the master intercom and are used for office entry in commercial applications. For multi-family or multi-tenant applications, the experts of Access Control Systems NYC install telephone entry systems. These may have a handset or they may be “hands-free”. Visitors contact the desired tenant by entering a simple directory code and the resident/tenant then grants or denies access. Many businesses in Manhattan already realized the benefits of having a security system installed at their location. Controlling the flow of employees and visitors in and around your facility is crucial to maintaining a safe work environment. Access Control can be installed on one door or many doors depending on your specific needs. Access Control Systems can eliminate the need to change locks and keys when an employee is terminated, and restricts access to sensitive areas, combining with other security solutions (Contact Access Control System NYC for the best security solutions in Manhattan). The ability to integrate your Security and CCTV Systems gives you the ability to record who accesses certain areas and can trigger alarms when unauthorized areas are accessed. When you choose your Access Control Provider, we will provide you with the tools and information needed to protect your building perimeter, products, assets and employees. After more than 20 years of installing security systems in Manhattan, we can provide solutions you might not even be aware of. With the latest technology in the access control field, Access Control System NYC install security systems and access control systems from the best brands, and perform the best service in Manhattan. Our Access Control Manager Systems are IT-friendly for both small local business and enterprise class operations. Our access controls systems are designed to keep your focus on securing your people, property and assets, and maximizing your time by helping you respond immediately to alerts wherever you are, whenever you need to. Access Control System NYC offer browser based solutions that can integrate with existing security systems, minimizing the need for duplicate data entry. Our systems come with a full set of standard security features that not only help to maximize your time, but will reliability safeguard your information. With our onsite consultation, you can know we will provide you with the best possible solution. If you think about it, there isn’t even one area in NYC not covered with cameras. Security cameras are perhaps the most important device any home or office needs to improve its overall security. In today’s life and with the amount of people who work, visit or live in New York City, it is quite difficult to prevent crimes without a resilient security system in place. Especially in parts of New York City, crimes against home and business properties are alarmingly high. However, with the use of right security system, these incidents can be prevented and the perpetrators can be caught. Many residential and commercial establishment owners have prevented major break-ins, thefts, vandalism and robberies with the use of CCTVs and alarm systems. 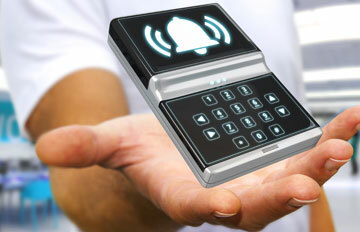 A house or a businesses without the right security installations are easy targets for criminals. Lack of security cameras, intercoms and alarm systems can prove fatal to the safety of your home, office, vehicle, assets and most importantly, your family. Every year, we are witnessing greater number of crimes across the New York City. But simultaneously, we are also witnessing a large number of such incidents being reported and prevented, and more criminal arrests. The improvement in security technology over the past decade has enabled beefed up security, often at very reasonable prices. Today there isn’t many businesses that didn’t installed security cameras, alarm system and more. 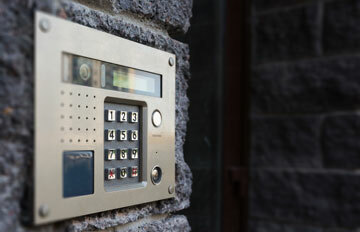 Access Control System NYC supply and install all types of security systems in New York City. It can be intercom installation in Staten Island, security camera in Staten Island, or access control in Manhattan New York. The experts of Access Control System NYC are ready for the task, and after thousands of security cameras, intercoms, access control systems and other security systems, we can deal with any security system in NYC, commercial or residential. Copyright © 2002 Access Control Systems NYC All Rights Reserved.